Thanks Lucille, I’ll receive that lovely blessing as it’s my anniversary today & though we are currently apart physically we are united in love & faith. & I did (attempt) to capture some of the beauty of a Northern Michigan Lake as the sun rose & the mist rolled in. God’s glory is all about us if we only have eyes to see! 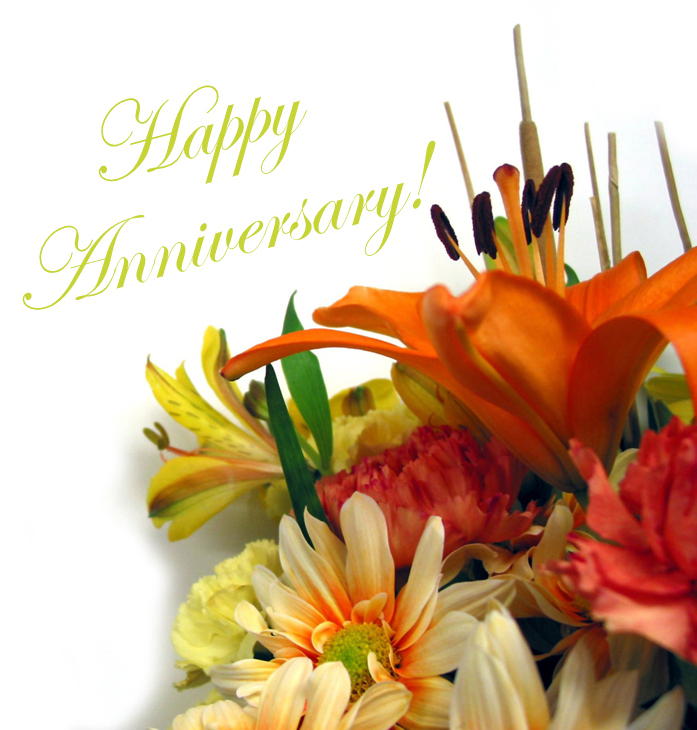 Happy Anniversary Valerie & Dear Hubby. May God Bless you both & your entire family! Thank you for the beautiful picture, and best wishes for many happy returns of of your anniversary. Blessings to you & Czar on this D Day Anniversary too! “many happy returns of your anniversary”…I hope so. My parents just hit their 56th anniversary & both sets of my grandparents made at least 50 years! We’ve been blessed with long (ish) lives & lively loves! Good morning, Lucille!!!! 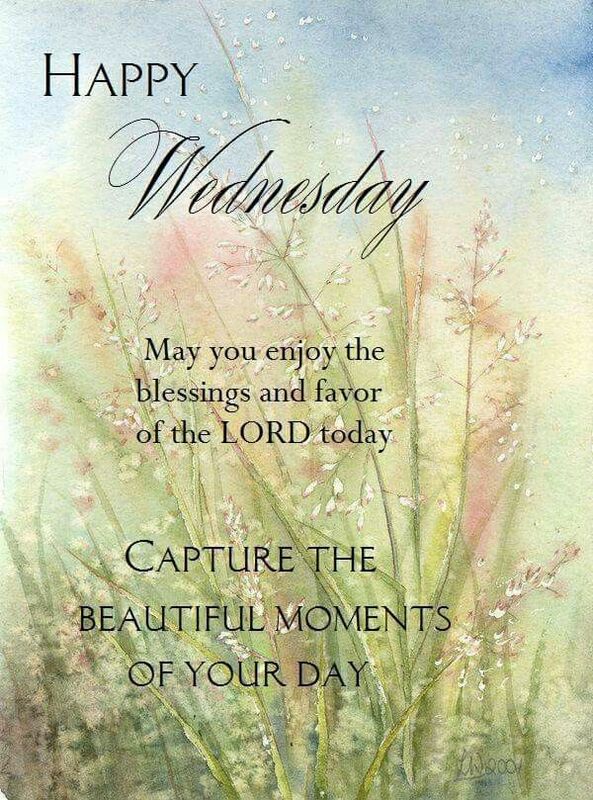 Have a blessed Wednesday! Another beauty today Lucille! Thank you, and many Blessings prayed for you today! Thank you so much, TOG&C! The Truth of the sonograms of babies in the womb does not magically disappear even though some may try to deny it. I just cannot wait to see the bare knuckled fight fest that is coming amongst the Liberal Elites once the incitements begin to rain down. I am giddy with anticipation. We have started a library of old movies & TV shows – westerns, mysteries, comedies. The vast majority of what’s out there in “entertainment” (brainwashing) varies from garbarge to evil. I have cable and found a channel called GRIT. It shows western of all kinds all day long. I have really been enjoying it. I always loved Death Valley Days and Zane Grey Theater. There is very little on any other channel. Oh! I’ll have to look for that! I like both of those shows as well. They show/teach real life experiences, triumphs, mistakes, and CONSEQUENCES. Very wise! And I agree 100%. Have a great afternoon G & C! If you’ve not seen the film, don’t watch the ending, of course. 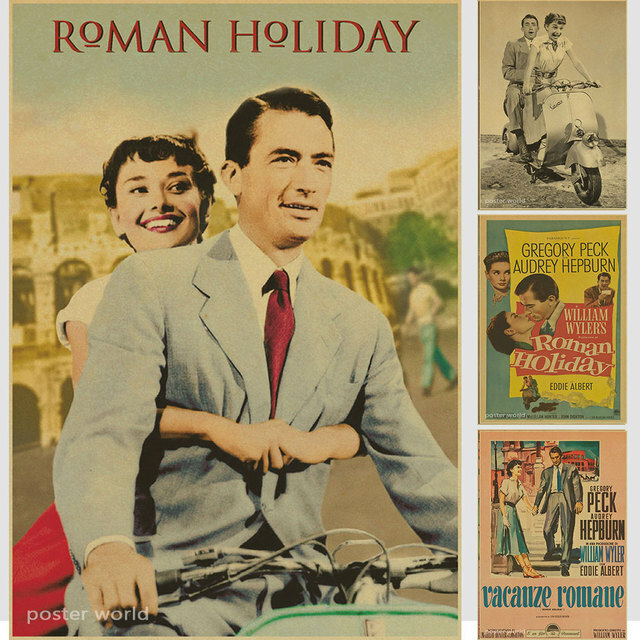 I adore Gregory Peck in this film. One day when he was filming “MacArthur” (1977) he came into the Universal commissary to have lunch. People who work in the film industry get used to seeing famous actors. Generally it’s no biggie. However, Peck stopped the room. Very tall and handsome. I don’t get it ? What does the silhouette of Dumbo have to do with anything??? His Netflix deal. Mornin’ Lovely! Never had Netflix – too bad I can’t cancel it now though! Yeah, me either! Mornin’ G&C! G’day, WeeWeed! What to say? The man is a traitor. Morning litenmaus, chair picture posted below 🙂 ! Mornin 🙂 -hope all is moving along with that wood delivery! Good morning Aus 🙂 ! Morning Nyet! Lots of bacon for me today. Have a great day! Looking good, Nyet! Maybe I’ll have a smidgen of each item…oh, well, maybe more than a smidgen. This warms my heart, too. He is blessed, for sure. That m’fer got shot. In the head. How I love our God! Is He not good? I’m really happy for him. 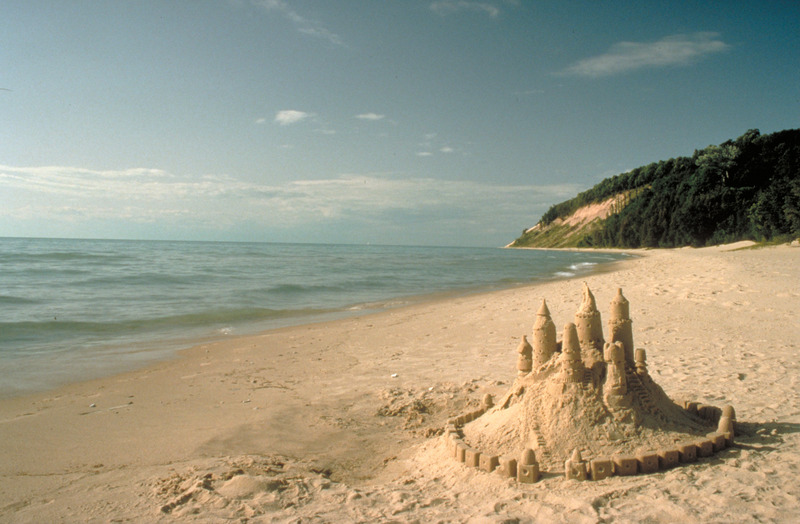 Beautiful, thank you Sand and have a beautiful day 🙂 ! 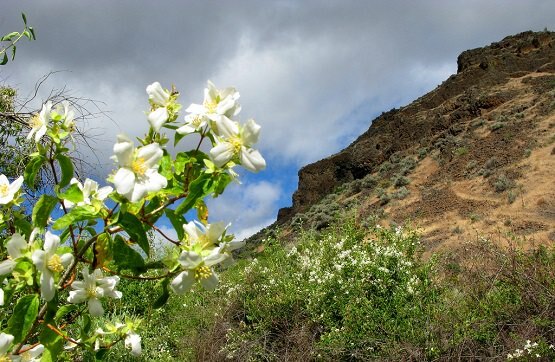 Today’s state flower is the Idaho Mock Orange! 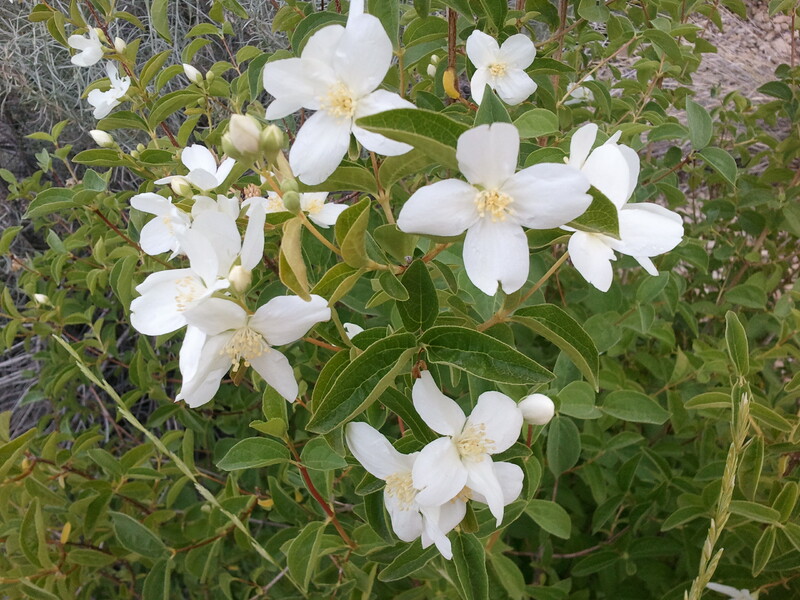 The state flower of Idaho, Philadelphus lewisii (Lewis’ mock-orange), is in the family Hydrangaceae, & was first collected by Meriwether Lewis in 1806. It gets its common name from the beautiful, orangey scent that makes it attractive to bees, & humans alike. It is a deciduous shrub native to western North America, from northwestern California in the Sierra Nevada, north to southern British Columbia, & east to Idaho & Montana, in USDA hardiness zones 4-8. It is widespread, but not very common, usually appearing as an individual plant amongst other species. 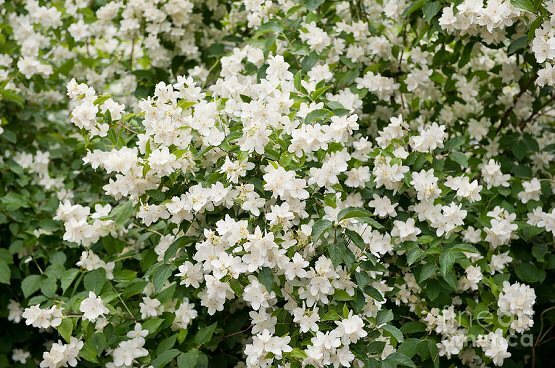 Other common names include wild mock-orange, though this can apply to any species in the genus, & also syringa which is a name that usually refers to the unrelated lilacs. The shrub grows to 4-10 feet in height, sending out long stems which are red when new & fade to gray with age. The leaves vary in size, & are light green in color with a rough texture. Mock Orange flowers for several weeks starting in the late spring to early summer, when the tall, arching branches are covered with a multitude of snow-white blossoms, with pale yellow centers. The flowers are produced in clusters at the ends of long stems, & at the height of flowering, the plant is covered in a mass of blossoms. Even when mock orange becomes wildly overgrown all is not lost because the shrub, if healthy, will respond well to careful drastic pruning. Timing of pruning is important to flower development. Like lilacs, mock orange should be pruned right after flowers fade. Pruning too late in the season can cut off next year’s buds, & it will not flower the next year. Improper fertilization can also be a reason why it does not bloom. Too much nitrogen from lawn fertilizers can cause a mock orange to grow large & bushy, but not flower. The bushes generally blossom more profusely if planted in full sun, however it is tolerant of a wide variety of conditions, from full sun to partial shade, & from moist to dry soil. It is known to be quite drought tolerant once established, though additional water can help it to flower more vigorously. It succeeds in any moderately fertile soil, thin soils over chalk, even in heavy clay soils, but it prefers moist, well-drained, loamy soil. The leaves & flowers are rich in saponins. When crushed & mixed with water they produce a lather that cleans your body, clothes etc. Wash your hands by picking a couple of leaves or a bunch of blossom, wetting & then rubbing the plant material vigorously as if it were a bar of soap. This soap is very gentle & does not remove the body’s natural oils. It removes dirt, but is not very effective against oil. An infusion of the bark can also be used. The stems can be used in making fine coiled baskets. The wood is strong, very hard & used for tool handles. The dried powdered leaves, or the powdered wood, has been mixed with oil & used as a rub on sores & swollen joints. The mock orange is really an impressive shrub. The below painting is ‘Mock Orange in a Vase’ by Leslie Watts. In comparison to yesterday’s impasto painting, this paintings shows with great clarity the different textures and effects of light upon them. Have a great day G-d&Country 🙂 ! Beautiful. I love the last picture! 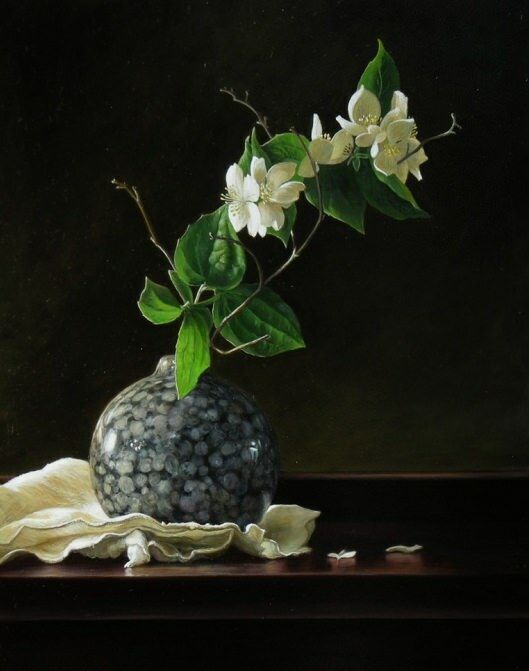 A great day to you also 😉 I keep on wanting to touch the items in that painting to feel the different textures – to me that makes it a successful painting! It sounds lovely! Thank you! Thanks, TOG&C! Our state flower is so pretty. I’ve never seen it growing in the wild but a few neighbors have some bushes gracing their front yards. And speaking of Idaho…Scott Pruitt at work…yippee! You know with the entirety of the fake news media being against him, that he’s truly doing a great job…. What a lovely photo! I agree it is a wonderful plant. Good things going on with EPA. 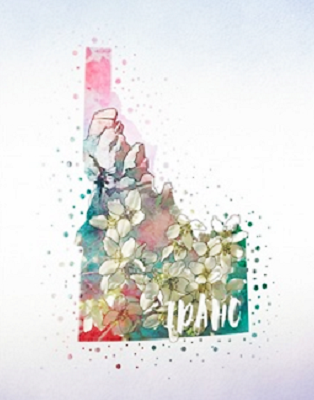 Hmmmm NH is also a state with Federal control – I wonder why – and can we get control back like Idaho did. litenmaus and I were talking about Opus a couple of days ago and then my chair, here is the promised picture. Here you go 🙂 . My “office” chair 😜. I still laugh when I think of my friend feeling sorry for me and saying I obviously needed a new chair. Just look at the beautiful old mechanics, metal and wood. And Opus has never complained! What a beautiful chair lovely…Amazing elegance in the lines of this design. Any time litenmaus! It’s fun to have things with character, things with history, I wonder about the life of the things I have, what purpose did they serve, what memories do they hold? IKR…..So much history & so many memories, if only they could tell their tales. Opus is terrific 🙂 . You know, when people become that deranged, what they say doesn’t bother me. Melania, perhaps more than Pres Trump, because of her modeling career, has had much more criticism of her appearance than most of us, so I’m guessing she is used to people criticizing her, although not about everything in her entire life. Although it may be hard to have a “tough skin”, the Trumps must know the value of the opposition showing their true craziness. People putting me down or saying crazy things about me do not bother me, but the sly lies, and outright lying misquotes of me in the press (both of which have been done to me), do bother me, and I do try to set the record straight. At some time however, you have to let it go, and realize you are a good person, they are the crazy ones, and not let them control your thoughts or waste your time. Remember that Hillary would disappear for days if not weeks at a time during the election and there was not one peep of speculation while she was getting vodka transfusions or convalescing. Melania is European, I am certain she is horrified by the way the MSM treats her husband, herself and her family. Remember the fawning and gushing over Michelle, a woman who hated America and made no bones about it? When she wasn’t spending our money like water and even when she was? Now we have a responsible, sensible First Lady and all she gets is hatred. The MSM makes me sick. It is disgusting how the MSM treats anyone who dares to not walk in lock step with the Slave Masters. In the draft report, Inspector General Michael Horowitz also rebuked former Attorney General Loretta Lynch for her handling of the federal investigation into Hillary Clinton’s personal email server, the sources said. The Obama administration secretly sought to give Iran access — albeit briefly — to the U.S. financial system by sidestepping sanctions kept in place after the 2015 nuclear deal, despite repeatedly telling Congress and the public it had no plans to do so. Meticulous. If attorneys live and die by crossed t’s and dotted i’s it seems that President Trump is going to make their job very very hard. Very interesting info Lovely. Just more proof where Obama’s alligence really lies. When the Shah was overthrown I was working for a DoD subcontractor who had a contract with Iran (among many other DoD contracts). The financial papers for the Iran contract were all in 1 cabinet that was then padlocked with a big metal bar over it, left there for a few years, then carted away. Obama was so concerned with giving money to the ayatollah, but did he ever consider repaying the money LOST by US companies who did work in Iran before the revolution and were never paid – I don’t think so. Also, wasn’t that money he sent there supposedly for unpaid contracts made with the Iranians pre-revolution, but those contracts were made with the Shah and his gov’t, not the gov’t who overthrew him – or did I read the news stories wrong? I think you hit the head on the nail. I wonder how much of the pallet money went to Swiss Bank accounts to await Iran’s DC regime. I’m also sure the cash that went out the open window for withdrawal that Obama gifted Iran didn’t all stay in Iran. A one-way ticket to the big house for Comey and friends, is in order. I think they should reopen San Quentin put them all together in a large cell just for crimes against America and offer them bread, water and maybe cheese on Sundays. 24 hours a day seven days a week loop after loop. Perhaps this makes me a terrible person. You being in prison is the difference it makes Hill. Oh and falling into the Vanbulance ! I don’t think it does. I think you’re absolutely justified in how you feel about it. They deserve to have the book thrown them. America has suffered far too long from liberal insanity. I agree, they are human misery profiteers. WHITE HOUSE PHOTO OF THE DAY…. From yesterday…on the despicable Mr. Mueller who isn’t worthy to investigate cow pies in the south 40…. Some fascinating thinking going on here…they are in oldest to newest order…. Thread by @_ImperatorRex_: “1. OF COURSE. How did I miss it? Horowitz flipped Lisa Page between Jan – March, 2017. Horowitz started watching Comey’s FBI and then Mueller’s SC, as soon as it started – 17 May, 2017. 1. Lisa Page was covertly working wth the OIG. But did Strzok/FBI and Mueller’s team know? I think not. Let me explain. 2. Yesterday, I posted a thread arguing that Page had flipped and was an OIG asset from early 2017 (latest, May). Thread by @_ImperatorRex_: “1. Some have been asking what I made of Papadopoulos ‘wife’s’ interview with Carlson. To be honest, I don’t know what to make of it. Thread by @_ImperatorRex_: “1. If Mueller is a bad actor on a suicide mission and really wants to put @GenFlynn away, he has a MAJOR problem. THE LAW. I love reading Rex posts. Undercover Huber, Rising Serpent, Nick Falco, The War Economy, and hfinch61 are also great researchers.